I'll soon be off on a trip with my best friend to the wonderful London & Paris. To get in the spirit of things, I painted my nails with the Union Jack! 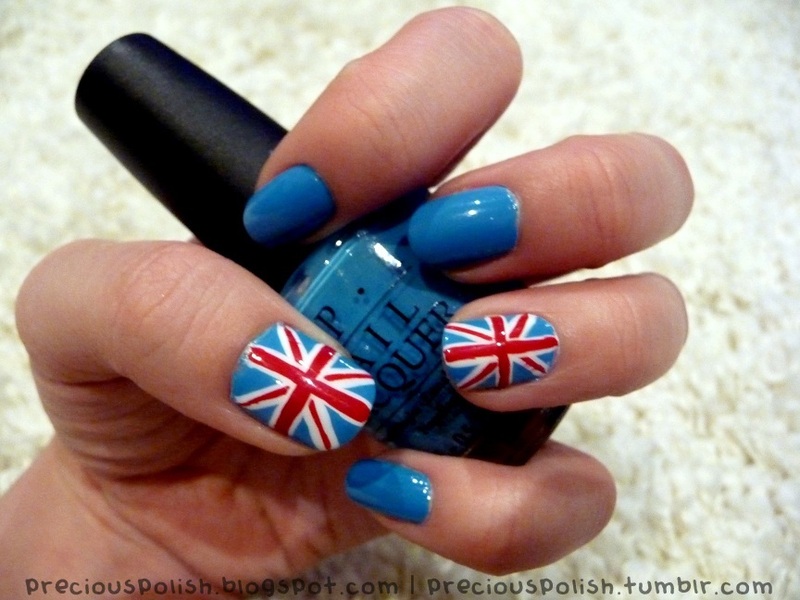 I used OPI No Room for the Blues as a base and used striping brushes for the flag.